Food Science is a convenient name used to describe the application of scientific principles to create and maintain a wholesome food supply. Food science draws from many disciplines such as biology, Food, and biochemistry in an attempt to better understand food processes and ultimately improve food products for the general public. There are many ways to think about food which has been discussed in various food events, food conferences in the simplest sense, food is a fuel, food provides the energy needed to perform daily functions and maintain normal metabolic processes. Food conference also tells us about the servicing techniques followed at different places, the influence of menu and also the production methods. The global food and beverage industry is growing at 3.5% a year and is expected to be worth more than US$11 trillion by 2019. Key trends for new product development are in health, convenience, naturality and sustainability. New foods based on fruits and vegetables fulfill many of the demands of the premium consumer. The intrinsic “health halo” of natural produce make ingredients derived from fruits and vegetables highly sought after in the global marketplace. The market for functional foods – foods that offer benefits beyond basic nutrition – is one of the fastest growing segments of the global food industry. The nutrition market is on an Everest peak due to the growing number of people suffering from malnutrition, rising old aged population and rising birth rates. Millions of people are suffering from under-nutrition globally and its incidence is found to be high in under developed countries. Also, the geriatric population is on the rise and this part of the population suffers from many chronic diseases demanding nutritional support. These 2 groups of people are the largest consumers of nutritional products and a rise in their number will directly cause an up rise in the sales of the nutrition market. According to the research based statistics the clinical nutrition market in 2017 was valued at $44.2 billion. Basing on the current scenario of the health status globally, the nutrition market is estimated to reach $59.1 billion by the year 2025 with a CAGR expansion of 4.6% from 2017 to 2025. In addition, the growing number of birth rates also demands number of pediatric nutrition products. 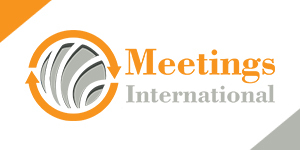 Meetings International is organizing its Nutrition conferences at Canada, Italy, Japan, USA, Netherlands and UAE. This provides individuals with a great opportunity to explore some of the most fascinating destinations across the globe.